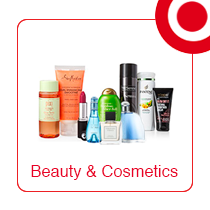 The liquidation Health & Beauty category consists primarily of New and Customer Returned Men's and Women's Fragrances, Perfumes, Skin Care, Nail Care, Cosmetics, Hair Products and Appliances. Many Consumers have turned to the Secondary Market to find Better Deals on Health and Beauty Products. Rather than Selling to a Few Liquidators who will turn around and Resell their Inventory to other Buyers with a Huge Markup, major Health & Beauty Retailers have turned to The B-Stock Sourcing Network to auction off the Liquidation Cosmetics Inventory directly to Smaller Retailers. This provides smaller Liquidation Cosmetic Buyers access to highly discounted Health & Beauty Inventory directly from the source.